Nov, 2013.we have recorder concert at Planetarium. Nov, 2013.we have recorder concert at Yokohama. Oct, 2013.we have recorder concert at Ohita. 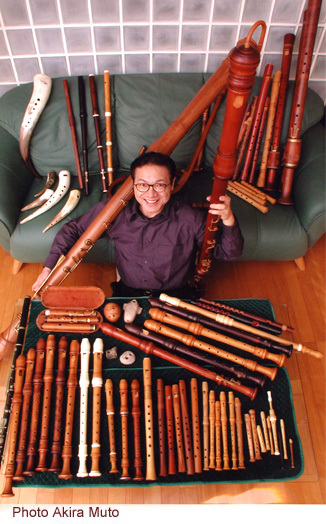 Oct, 2013.we have recorder workshop at saitama. Sep, 2013.we have recorder concert with Kuricorder Quartet. Aug, 2013.we held a concert at Kesennuma-Miyagi had earthquake and tsunami 2011. Jul, 2013.Members of the Ensemble Wien had a lesson in the "Magic Flute". May, 2013. we had a concert at Miyakojima, Okinawa. Jan, 2013. "build a human person" Hiroyuki Hayashida. This site has been linked up with Recorder Home Page;Nicholas S. Lander. Please mail to me if you know some Pieces!